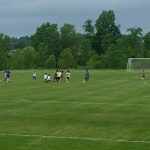 Drake Sports Park West Bloomfield review, pics, and info. 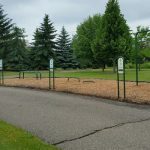 Drake Sports is a 52-acre park maintained by West Bloomfield Parks and Recreation that features a skate park, Safety Town, picnic shelters, a wetland observation area, picnic shelter, and several tennis courts, baseball diamonds, and soccer fields. 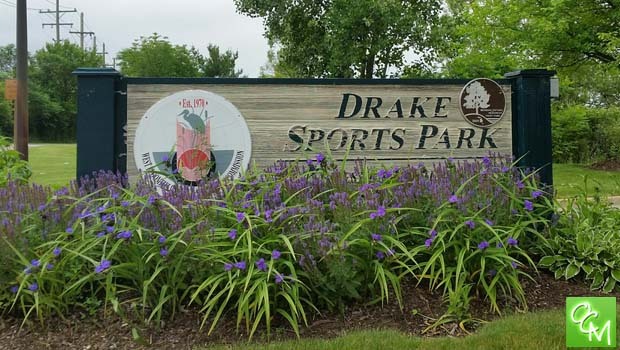 Drake Sports Park is one of the recreational hubs for the activities, sports leagues, and camps hosted by West Bloomfield Parks. 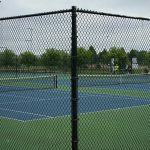 You’ll find 3 soccer fields, 5 tennis courts, 3 softball diamonds, 4 pickleball courts – all with concessions and indoor restrooms located nearby. 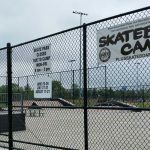 Drake Sports Park Skate Park is a major attraction located near the center of the park. The large skate park is grafitti-free, clean, and the concrete is almost completely smooth. 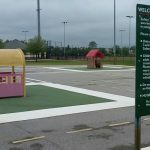 Drake Sports Park boasts a 14′ wide pave trail is nearly a mile long and features Fit-Trac exercise stations. 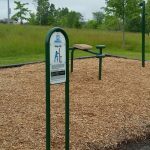 The Fit-Trac stations are modern, updated versions of those fitness stations that used to dot MetroParks in the 70s and 80s. 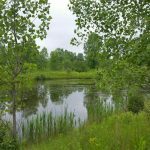 These stops encourage sit-ups, leg-lifts, and other exercises you can incorporate into your fitness walks. 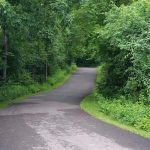 The fitness trail outlines the perimeter of the park and is very scenic. 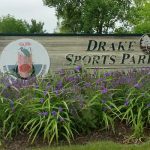 For a sports complex, Drake Sports Park manages to fit in plenty of nature and leisure opportunities. 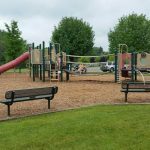 Drake Sports Park has 2 playgrounds next to the picnic shelter / pavilion. Neither are anything to write home about but they are both clean and well-maintained. 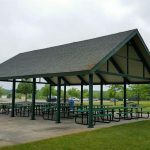 Drake Sports Park picnic shelter / pavilion is available to rent and so is the park’s meeting room. 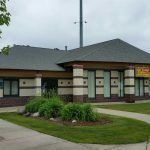 Facility rental for Drake Sports Park (shelter and fields) is available by calling 248-451-1900. 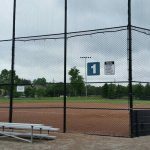 Drake Sports Park crams an incredible number of amenities in its 52-acre space and uses the land (and parking) wisely. All features of the park are well-within the convenient parking lot. 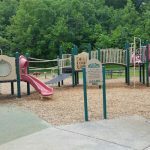 The park and its niceties are impeccably maintained.